According to an April 2017 article published on tech insider WIRED’s website, half of new businesses will run solely on the Internet of things by the time the year 2020 rolls around. Is this good news? Actually, it is. 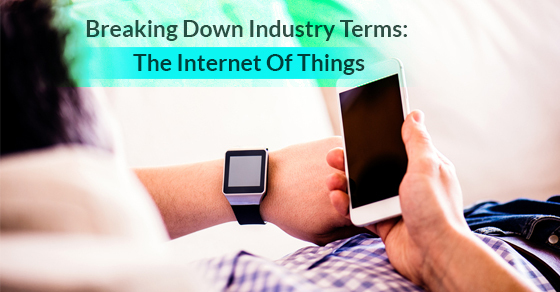 In order to see why, let’s break down the industry term in question: the Internet of things. The Internet of things (IoT) consists of devices that can be turned on or off via the Internet or another device that is connected to the Internet. Furthermore, the IoT also consists of machine components that can be activated or deactivated via the Internet. Devices and components involved in the IoT are able to transfer data over a network without prompting. Medical device manufacturers, for instance, will make a heart monitor implant that is activated through the IoT and can send data to doctors at regular intervals so that they can better track their patient’s health. When did the IoT come into existence? The concept of the Internet of things wasn’t given a name until 1999. However, the IoT has been around since the 1980s, when a Coke machine at Carnegie Mellon University was programmed over the Internet to allow staff to check the machine’s status to see if there were cold beverages available before they made the trek to the machine. What industries use the IoT? Many industries use the Internet of things daily, such as agriculture, building management, energy and transportation. Besides the aforementioned, the healthcare industry is one of the more active IoT users. A prime example would be medical device manufacturers because the healthcare industry is reliant on technology. Medical device manufacturers are able to create interconnected devices that can help patients, streamline the way doctors collect data and provide more accurate diagnoses. The Internet of things consists of many devices, which range from entire smart homes to wearable tech to cars. Smart home: Smart homes are living spaces in which the entire house is connected to the IoT with devices activated using voice control (thermostat, TV, etc.). Wearable tech: This can be anything from headphones to smartwatches to step counters (Fitbit). Cars: These aren’t necessarily self-driving cars but vehicles that have built-in sensors that can let you know when tire pressure is low and if you are too close to the car in front of you. Some IoT cars can even self-park. Smart cities: This is the future of the IoT. Smart cities are going to revolutionize how we live by reducing traffic congestion, noise and pollution.